IRVINE, Calif., Dec. 4, 2013 /PRNewswire/ — CoreLogic® (NYSE: CLGX), a leading residential property information, analytics and services provider, today released its October CoreLogic Home Price Index (HPI®) report. On a month-over-month basis, including distressed sales, home prices increased by only 0.2 percent in October 2013 compared to September 2013*. Year over year, home prices nationwide, including distressed sales, increased 12.5 percent in October 2013 compared to October 2012. This change represents the 20th consecutive monthly year-over-year increase in home prices nationally. Excluding distressed sales, home prices increased 0.4 percent month over month in October 2013compared to September 2013. On a year-over-year basis, excluding distressed sales, home prices increased by 11 percent in October 2013 compared to October 2012. 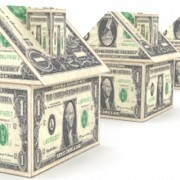 Distressed sales include short sales and real-estate owned (REO) transactions. The CoreLogic Pending HPI indicates that November 2013 home prices, including distressed sales, are expected to remain at the same level month over month as October 2013, with a projected increase of 12.2 percent on a year-over-year basis from November 2012. Excluding distressed sales, November 2013home prices are poised to rise just 0.4 percent month over month from October 2013 and 11.3 percent year over year from November 2012. The CoreLogic Pending HPI is a proprietary and exclusive metric that provides the most current indication of trends in home prices. It is based on Multiple Listing Service (MLS) data that measure price changes for the most recent month. Including distressed sales, the five states with the highest home price appreciation were: Nevada(+25.9 percent), California (+22.4 percent), Georgia (+14.2 percent), Michigan (+14.1 percent) andArizona (+14 percent). Including distressed sales, the only state to show depreciation was New Mexico (-0.5 percent). Excluding distressed sales, the five states with the highest home price appreciation were: Nevada(+22.5 percent), California (+18.5 percent), Utah (+13.3 percent), Florida (+13 percent) and New York (+12.4 percent). Excluding distressed sales, no states posted home price depreciation in October. Including distressed transactions, the peak-to-current change in the national HPI (from April 2006to October 2013) was -17.3 percent. Excluding distressed transactions, the peak-to-current change in the HPI for the same period was -13.1 percent. The five states with the largest peak-to-current declines, including distressed transactions, wereNevada (-40.7 percent), Florida (-37.4 percent), Arizona (-31.5 percent), Rhode Island (-29.3 percent) and West Virginia (-28 percent). 96 of the top 100 Core Based Statistical Areas (CBSAs)** measured by population showed year-over-year increases in October 2013. **The Office of Management and Budget (OMB) issued a bulletin on February 28, 2013, establishing revised Core Based Statistical Area (CBSA) delineations. With today’s release of HPI, these new delineations are now reflected in the data.